Texans appear to be answering the call. Final unofficial early vote totals for this year’s midterm election tell a potentially amazing story that might portend a record year in Texas electoral history. About 4.9 million Texans have voted early. That number exceeds the total number of ballots cast in the 2014 midterm election. We still have Election Day awaiting us Tuesday. There will be a chance, therefore, for Texans not only to smash the previous midterm vote record to smithereens, but also to approach presidential election year vote totals. Who knows? Maybe we’ll break the 2016 turnout. Conventional political wisdom suggests that big midterm election turnouts traditionally bode well for Democrats. I am hoping that’s the case, not just in Texas but around the country. The U.S. House is poised to flip from Republican to Democratic control next January. That gives the so-called “other party” a chance at controlling legislative flow in one congressional chamber. The Senate remains a high hurdle, a steep hill for Democrats to clear. But … there’s a flicker of hope — based on those early vote totals in Texas — that Democrats might be able to flip a Republican seat. It remains a long shot, from all that I can gather. 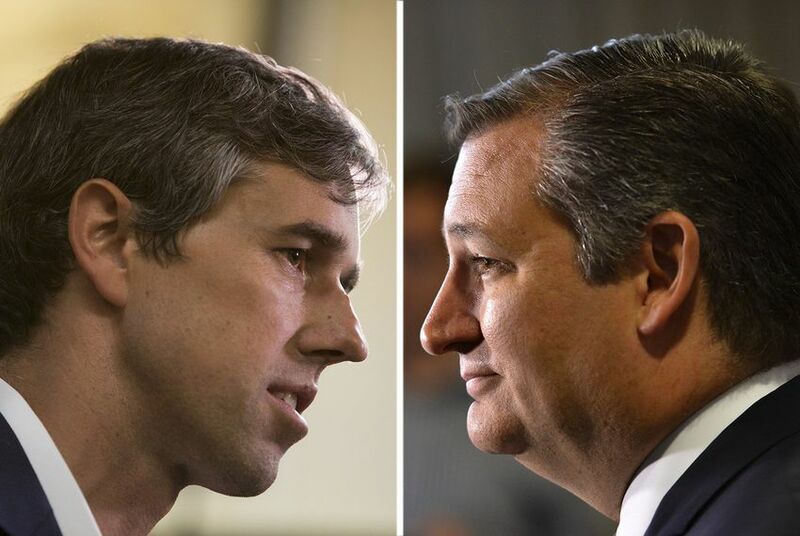 Beto O’Rourke is mounting a stiff and stern challenge against Ted Cruz. The young Democratic congressman from El Paso has trudged through all 254 Texas counties, telling voters they should support him rather than the Republican incumbent. I am one of those Texans who will vote Tuesday for O’Rourke. My hope is that there will be enough other Texans who will join me. Cruz long has been seen — even by many of his Senate colleagues — as a self-centered egotist far more interested in his own ambition than in the people he was elected in 2012 to serve. Are we going to break records Tuesday? I do hope so.